MEN WANTED: FOR HAZARDOUS JOURNEY. SMALL WAGES, BITTER COLD, LONG MONTHS OF COMPLETE DARKNESS, CONSTANT DANGER, SAFE RETURN DOUBTFUL. HONOUR AND RECOGNITION IN CASE OF SUCCESS. This was Ernest Shackleton’s advertisement in a British newspaper seeking crew to join him on the Imperial Trans-Antarctic Expedition. The journey would become famously known as the Endurance expedition. Those who answered the call became part of one of history’s greatest stories of survival. 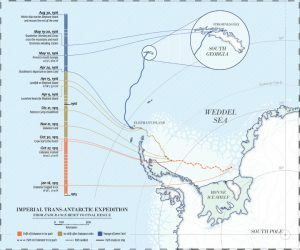 When the Endurance set out for Coats Land, Antarctica, on August 8th, 1914, war had just broken out across Europe. Shackleton had offered the ship and services to the war effort, but First Lord of the Admiralty Winston Churchill insisted, ‘for the sake of science and country’, that the journey go ahead. The Endurance becomes trapped in the ice. Image from flickr. 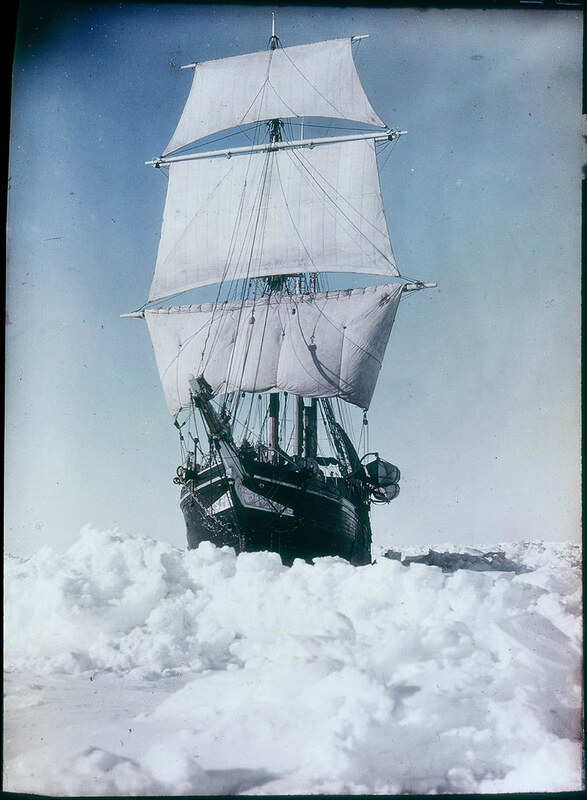 When Shackleton and his men reached South Georgia, just west of South America’s southern tip, he’d been warned of potentially dangerous ice conditions in the Weddell Sea. The warning came from meteorologist Robert Mossman, a member of the Scottish National Antarctic Expedition 10 years earlier. Mossman was interested in atmospheric and oceanic phenomena known as teleconnections. Teleconnections are interactions between the weather and climate of regions separated by large distances. At the time, this was a brand new field of research. Mossman, who was working at the Argentine Meteorological Office, believed sea ice in the Weddell Sea was closely linked to rainfall in South America’s mid-latitudes, between 30ºS and 38ºS. He claimed wet years in South America were a result of Southern Ocean storm tracks, born in the Weddell Sea, pushing further north. Sea ice in the Weddell Sea is closely related to the storm tracks, as the ice front is pushed north by storm activity. In South America’s dry years, the reverse occurs. Storm tracks remained to the south of South America and sea ice wasn’t allowed to spread as far north. The Endurance is lost. Image from flickr. As it happened, while the Endurance restocked in Buenos Aires, near-record rainfall was sweeping across South America. And, as predicted, the Endurance soon entered heavy pack ice as it began its journey towards Antarctica. On January 18th, 1915, the pack ice closed in around the ship. 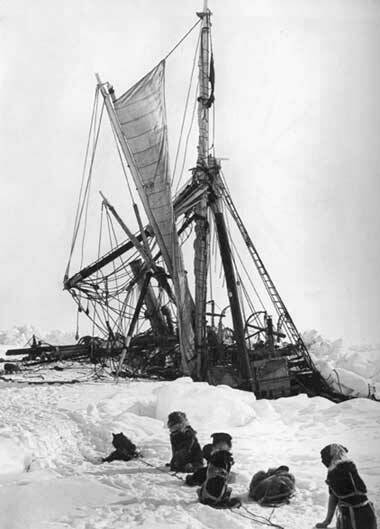 Endurance was stuck fast until the following spring, when the crew hoped the break-up of the ice would free them. Their hopes were dashed when, as the ice began to melt, rather than free the ship, the extraordinary pressures created by the shifting ice pack crushed her. The Endurance was lost. What followed is an astonishing story of survival (one that can’t be done justice to here) and well worth a read. Mossman’s forecast was one of the first known applications of teleconnection theory. Since his day the field has grown and his theory has been substantiated. Weddell Sea pack ice is linked to El Nino episodes, in which eastern Pacific sea surface temperatures are above average. During these periods the Weddell Sea is cold and stormy, allowing sea ice to grow freely. El Nino events are also associated with wetter than average weather in South America’s mid-latitudes. Remarkably, Mossman’s claim was accurate. Interactions between El Nino events and Southern ocean storm activity are well known, if not well understood. Put simply, warming in the Pacific Ocean triggers atmospheric waves that extend all the way to Antarctica and interact with Southern Ocean weather systems to enhance storm activity in the Weddell Sea, pushing the ice further north. So while Mossman’s theory omitted El Nino, his observations of a link between the two regions were correct. It wouldn’t be until August 30th, 1916 that the last of the crew was rescued from the Antarctic ice, 24 months and 22 days after leaving England, and 19 months, 12 days after the Endurance was trapped. Amazingly, every crew member survived. Mossman’s predictions were accurate in that the Endurance did quickly encounter ice on their journey south. This suggests that the sea ice that year had gone quite far to the north. The link with ENSO came later, so Mossman didn’t piece the whole puzzle together. Good point Luke, thanks for picking that up. He certainly wasn’t. Churchill was the First Lord of the Admiralty at that time, and was famously quick to give Shackleton the thumbs up to go ahead with the expedition. When Shackleton sent the admiralty his message, Churchill got back to him in just two hours! It’s an amazing story of survival by the crew of endurance, I didn’t realise the importance of the expedition for teleconnection theory! The documentary-movie made a few years back was absolutely amazing. Don’t think Churchill was Prime Minister in 1914 though? Although certainly something I can imagine him saying! Really great read! Will definitely be reading about their story of survival! So just to clarify, were his predictions able to explain the El Nino event? Heather, some small-scale weather features are certainly changing in a warming world. ENSO, however, is a global-scale mode of variability, and isn’t going anywhere, though it may change subtly. There is a large body of research into if/how it will change in the future but at the moment nobody knows! Gabriel, Sir Gilbert Walker is considered the father of teleconnection theory. He was a contemporary of Mossman and was strongly influenced by his work. His seminal work on ENSO was published in 1927. As for iron fertilisation I can’t say much. Much of the primary productivity in the Southern Ocean is said to be a result of dust blown off South America, just like the northern example you give. It’s even been investigated as a method of increasing carbon dioxide uptake in the ocean to mitigate global warming, but with limited success. Are there any other examples of early research into teleconnections? Maybe not the same thing, but I love the idea that sand blown from the Sahara is important for seeding the Atlantic Ocean with iron for phytoplankton growth. I wonder how these weather patterns will change, or if they will disappear with new ones appearing, with climate change? Interesting and good hook! I’m surprised anyone said ‘yes’ to that advertisement.